Futbol is back. After a two-week international break for players to play for their respective national teams, club teams return to the pitch to resume their seasons. With league play picking back up this weekend and with almost a quarter of the season in the book, it is the perfect time to check in on everyone’s favorite league, the English Premier League, and how it is shaping up. Consider this your quarterly report, starting from the top of the league table on down. Let’s kick it off with a discussion of the true title contenders. On top of the table is Manchester City. 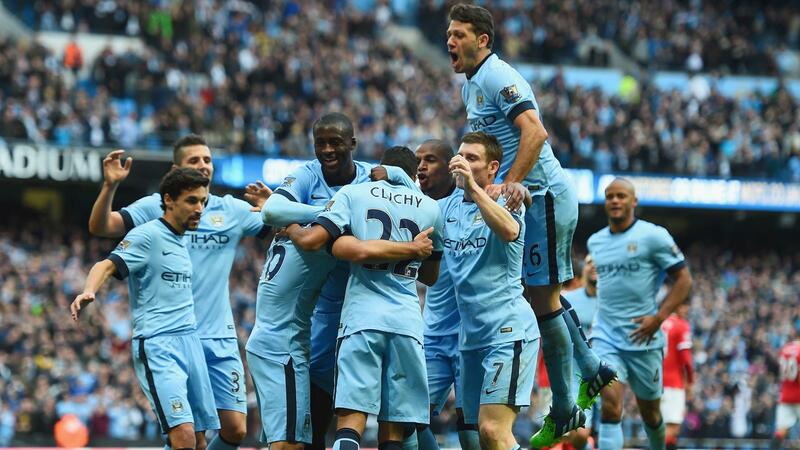 A runner up last year after winning it all in 2013, Man City is a force to be reckoned with. The additions of Kevin de Bruyne and Raheem Sterling took what was a title contender last year, and made them even more dangerous this year. If City does have a weakness it would be its slightly aging midfield and the potential fragility of Sergio Aguero, but if manager Manuel Pellegrini can continue to get the best out of his players and avoid major injuries, then City is a good bet to be champions when the season ends in May. While they can beat anyone on any given day, it will be up to the other title contenders to exploit any stumble from the ‘Sky Blues’ to knock this petro-dollar rich team from their perch atop the league. If Manchester City doesn’t win the title, they’ll have no one to blame but themselves. Next up is Arsenal. Oh Arsenal, so full of promise and poise, but always seeming to miss their chance. Arsenal had a stellar looking pre-season but unfinished business may keep them from fulfilling their potential. The Gunners blasted Aston Villa out of the stadium in the FA Cup finals this past May, they beat Chelsea in the Community Shield, and they finally got the world-class goalkeeper they have been waiting a decade for, but to the annoyance of their fans and the detriment of their title hopes Arsenal also failed to sign a “world-class striker,” (whatever that means, they have Olivier Giroud and Theo Walcott, who see plenty of playing time for France and England on the international stage) and neglected to find a quality backup for emerging defensive star Francis Coquelin. Over the last few years Arsenal has always had the talent and the game plan to hang around the edges of the title race, but hasn’t been able to reach their full potential. Over the break, up and coming Chilean superstar Alexis Sanchez has continued his torrid goal scoring and German maestro Mesut Ozil looked in top form. If they continue their great like that for Arsenal then this year may just yet be the Gunners year. Manchester United remains the Yankees of soccer. And just like their counterparts on this side of the Atlantic, they are a franchise that used to be the undisputed best but has not lived up to their standard in recent years. Man U had a widely respected manager in Sir Alex Fergeuson (the guy was a knight after all), and had some of the best players in the world at every position. Since the departure of Sir Alex, just like the Yankees losing Joe Torre, the squad has struggled to find its identity and hasn’t been a serious title contender for a couple years. To almost any other team, a one-year break from the Champions league and a 4th place finish the year after would be fine, but for United, a title is the only acceptable outcome. New skipper Louis Van Gaal was brought in to right the ship and bring the same style and winning ways to Manchester United that he produced during the Netherlands’ 2014 World Cup campaign. Van Gaal’s new signings and his tactics seem to have brought Man U back to their definition of stability in the title hunt, but taking first place will depend largely on the performance of Wayne Rooney. If Rooney returns to form as one of the best scorers in the league, then Man U have a chance to win the title, if not they will be very talented duds. Next on to the second tier, the teams that will duke it out for a chance to play in the Champions League or Europa League, but barring a miracle have no real claim to being title contenders. Crystal Palace has been playing very well under manager Alan Pardew, who was brought in the middle of last year after overstaying his welcome in Newcastle. The team has talented attacking players, especially Bolasie, who should be snapped up by a bigger club in the next year. For Leicester City to be in 5th place in the league, a miracle has already occurred. The Foxes were trying to stave off relegation last year and this year is competing for a spot in the top 4. Their success seems to be coming courtesy of Jamie Vardy, who has 7 goals this season, and strong play from the supporting cast, featuring 7 players who played for their countries during the international break. This team is good, but don’t get carried away; a 5-2 drubbing at the hands of Arsenal showed that the team isn’t ready to compete with the big boys for a true spot at the top. Leicester City also has a tough schedule ahead, and if Vardy or his scoring partner Mahrez cool down, the Foxes could slide right back down the table. West Ham is a confusing team. They won away from home, against Arsenal, Liverpool and Manchester City, that’s not supposed to happen. Then they lost against Leicester and Premier league rookies Bournemouth at home, that’s REALLY not supposed to happen. Talented scorers Dimitri Payet and Diafra Sakho can keep this team winning if they continue to play well. The Hammers depth is better than Leicester, and they should outperform the Foxes in the final standings, but both teams have the same problem; inspired runs of form by talented B-list stars are not enough to win the league, there is too much talent on the top teams. Everton is a good team that has reasonable aspirations to end the season close to the top 4. Romalu Lukaku will score a ton of goals, Tim Howard (USA! USA! USA!) should stop a ton more. If the team can avoid dropping unnecessary points against lesser clubs, then Everton could be the biggest beneficiaries of Chelsea’s shocking drop in the standings (more on that latter). If there was ever a year for Tottenham to end the streak of finishing below Arsenal in the standings, it doesn’t look it will be this year. Sure Harry Kane might be a great goal scorer, but the emphasis is on MIGHT. So far Kane hasn’t impressed this year. His supporting cast is good, Erik Lamela and Christian Eriksen are young stars, who will continue to set up goals for a young Kane. American DeAndre Yedlin (who the US Men’s National team NEEDS to develop into a starter) has been sent out on load, but will hopefully continue to develop. Hugo Lloris is a very good goaltender, and the defense isn’t bad either. The problem for Tottenham is that there isn’t a Mesut Ozil AND an Alexis Sanchez on this team, so their fortunes will rise and fall on the boots of Harry Kane. In a year or two Arsenal will need to watch their backs, but for now they are safe, and for Tottenham, that may be all that matters. Southampton is a team that would be in better shape if they hadn’t sold two of their best players over the summer. Morgan Schneiderlin was an important part of the Saints’ midfield, but now he plays for Manchester United after a 25 million pound transfer. Nathanial Clyne was also shipped out; the young defender is now playing in Liverpool Red, for a 12.5 million pound fee. With all that money coming in, Southampton addressed some depth concerns, bringing in a crop of youngish players who haven’t yet made a great impact. But with over 37 million in the bank, Southampton spent under 30 (estimated, the Virgil van Dijk deal isn’t public) to reinvest in the club. Sports are a business but making money isn’t helping put a winner on the field. Liverpool is the last team in the top half. Their lackluster start has already cost manager Brendan Rodgers his job. Liverpool’s fate, however, may not be the fault of bad coaching, but of one too many reboots in Rodgers’ tenure. This year the club brought in over 75 million pounds worth of new players; Christian Benteke, Danny Ings, Nathanial Clyne, James Milner and Roberto Firmino (Milner and Ings joined on free transfers). But these players, all of star quality, were asked to replace Liverpool legend Steven Gerrard, and young phenom Raheem Sterling. Gerrard has made the trip to the MLS, and Sterling left for greener (or bluer) pastures in Manchester City, but it’s hard to replace the heartbeat of a club and the wunderkid of English soccer all in the same year. The team was accused of underperforming last year, but it may just be that this team needs time to gel and get its stars on the same page. Now on to the bottom of the league table. The three new teams to this years Premier League, Watford, Norwich City, and Bournemouth, are all performing well above expectation. All of them are outside the relegation zone and, barring major regression, should be able to avoid a drop back down to the lower divisions. Stoke and Swansea also appear to be comfortable, although there is a lot of season left for something bad to happen to Stoke. West Brom avoided the drop last year, and this year could be a bubble team to watch as the season progresses, we’ll see if they can continue to keep their place in the league. The relegation teams, as it stands right now, are Aston Villa, Sunderland, and Newcastle. Sunderland is a team in transition, a new manager may right the ship, or not, but that choice will dictate how the rest of the season plays out in the northeast English city. Aston Villa made it the FA Cup finals last year, only to be blown out by Arsenal and are facing similar problems this year. The team doesn’t look good and this may be the year they bow out of the Premier league. Newcastle hasn’t won a game yet, but does have a forgiving upcoming schedule to see if they can finally put one in the win column. And that’s everything. Nothing else to see here. Thanks for reading. Oh, you’re still here. Ok we’ll talk about it. In the biggest shock of the year, Chelsea, the reigning league champions, currently sit in 16th place. They’ve only won two games, one a squeaker against lowly West Bromwich Albion and the other a mildly controversial game at home against Arsenal. This is a special team filled with world class talent and to be sitting in 16th nearly a quarter through the season is simply embarrassing. For Christ’s sake this team is only 2 games out of relegation and is tied for second in goals against. This should not be happening. The soccer world, outside of Chelsea and their fans of course, is taking an almost perverse amount of joy from the struggles of Jose Mourinho’s team. After all, it’s a pretty easy team to dislike (looking at you Diego Costa). But the team and it’s coach have bigger problems than being disliked. Chelsea didn’t secure the new defenders they wanted during the transfer window and Chelsea’s stars are not getting any younger. The decline of Cesc Fabergas is only made less noticable because it is now accompanied by the shambling corpses of the soccer players formerly known as John Terry and Radamel Falcao. The defense is not what it was the last two years, and Everton refused to sell star defender John Stones to the champs. Chelsea’s success over the past decade has been predicated on taking advantage of their oil-baron owner and his ability to buy the players they need. They will eventually reload, but missing out on top defensive talent is taking a toll. The most entertaining part of this collapse is the three ring circus that Jose Mourinho is attempting to conduct in an effort to distract from his team’s play. He has demoted the team doctor, called out Arsenal manager Arsene Wenger, and waged war on the referees, but it hasn’t distracted the world from his team’s faults and hasn’t united his team in an us-against-the-world mentality. No one expects Chelsea to finish two spots above relegation, but UEFA Champions League football is definitely at risk.